Here we are, another day consulting in Paradise, Delhi. Well into my current contract as an Advisor, I have worked more than 50 days straight including Christmas and New Year’s Day. Go for the Hotel breakfast with the newspaper, growl at the boy who wants to get into the room to give you the two apples which have to go straight into the bin, dodge the tourists who will be going on buses to the Taj Mahal, and grab a bowl of flakes and a sugar-laced yogurt. But not the watery egg and bacon, which is known to be lethal. Watch a bit of yesterday’s cricket on the flat screen whilst drinking two cups of the chemical waste tea, and then off to work. 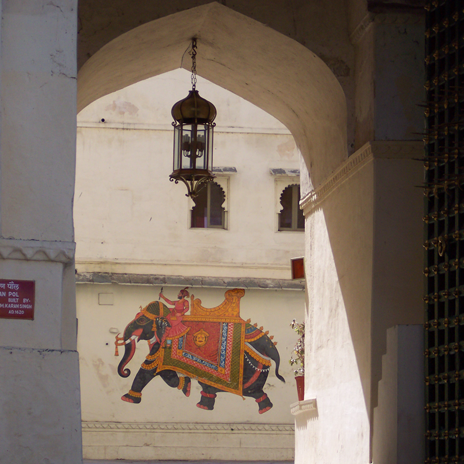 Out of the door where you get a salute from the Rajasthan man who is 7 feet tall. Next is crossing the road, which is a challenge. Past the rickshaw wallahs to the zebra crossing, but this is merely paint on the road. Its only function is to set you up as a target. One has to wait for a gap in the files of roaring buses, horns blaring, and hordes of scooters with donald duck squeaky horns, and cyclists, all united with a death wish. Cyclists will pedal furiously towards pedestrians as though they really want to collide, as if they think they are invulnerable. Cars accelerate through the zebra, as if there is a prize for those who clip a walker. So you do this with great care. Then down an alley way with the grand name of Connaught Lane, its a dirt track lined with “restaurants” owned by the Salmonella family, where you will need nerves of steel to dine-in, and with repair shops for vehicles and machinery. Both types of establishment spread out generously into the puddly street, rickshaws and cars whizz past, hooting and squeaking, and trying to splash you. Monkeys run over the wires above the street and evil crows sit there too, keep a careful eye in case an incontinent one is about. Occasionally there’s a magnificent white-breasted kingfisher with a scarlet beak, sat amongst the tatty house crows. There’s a constant clicking, ticking noise which is chipmunks disapproving of everyone and everything. Then you get to the next street which is a market at night, so in the morning it is covered in garbage and pools of sinister-looking fluid. Its bizarre at the moment with Christmas decorations strung along it. Workers are sweeping away with witches brooms, whilst others have primitive wheelbarrows and collect some of the rubbish in order to dump it elsewhere on the pavement, when further waiting specialists will set fire to it. If possible this is done inside a plastic container, best of all is a discarded tyre, one can close the street for a while when a tyre really starts to burn. Mercifully there is an underpass for the next street, you dive through this, past the old woman who sits on a sack and gets 10 rupees every morning, she croaks thanks or is it a string of insults, and you’re at the office. Now go to the back of the building and use the service lift, crowding in with a dozen other fragrant folk and the man who spends all day driving it, and up to floor 11 for the signing in ceremony. This is a book in which one says who one is, who one is visiting (I have visited Marshal Stalin and Don Bradman, this month, to name just a few), and the time in. Then to the computer room, past a mob of blokes swabbing the floors with the special disinfectant which encourages cockroaches to evolve smaller and faster, whilst repelling humans; and plug in the laptops using the special plugs which are the wrong size and fall out of the wall given a slight nudge. Now you find the internet server is down, so you need Mr Patel who is the only person who knows how to restore it, but he is not here. And the man comes to turn on the fan, which is needed to input air from outside and deliver the special grime which rises this high above the streets, so you can watch the dust settling on your keyboards. The black kites sit on the window ledges and fix their mad gaze intently on you, through the dust-coated glass. The Tibetan comes with a cup of sugar solution for you to which a little coffee powder has been added, and the other guys now arrive with lots of hand shaking and smiles, and they are genuinely pleased to see you made it across the road, and its time to talk about yesterday’s cricket. Another day has started.